NOTICE: WUWT to begin migration to new cloud server – opening up new horizons | Watts Up With That? I wanted to take this opportunity to thank everyone for their continued patronage of WUWT, and to let you know that in the last couples of months the site has been under attack by a variety of forces, which has reduced the viability and visibility of the website. After consulting with technical people @WordPress.com they have graciously offered to help me and we’re in the process of beginning a site migration. It is a daunting task, as there are over 18,500 articles and 2.6 million comments. In addition to that there’s about 13 GB of image files that are indexed to specific articles. At present, WUWT stands at 353 million views. In the short term this migration may mean some interruptions of service, in the long-term this should ensure that WUWT continues to reach audiences worldwide without interruption or interception by some of the nefarious forces that operate from the shadows trying to reduce the impact this website has. It will also toughen the site against attacks. Over the next day the process of migration will begin. If I am lucky, there will be very little interruption of service. However as these things go sometimes it’s not always hiccup free, and the chance of the site becoming unreachable for awhile while DNS cache is cleared. However, the technical engineers at WordPress seem to think it will go okay. Another long-term benefit of this migration to a new server is that it will remove some of the limitations I’ve had by being hosted on WordPress.com. Instead I’m going to be hosted on the same cloud server group that hosts many of the largest news websites on the planet. All of this will still be under the control of the people at WordPress, but the good news is that in the nearly 12 years I’ve been doing this, WordPress as a company has staunchly defended my right to publish articles which they have undoubtedly taken some flak for. There is a back story from 2009 related to Climategate, Al Gore, and Google that I believe I’ve shared in the past to give you an idea of the kinds of things I’m up against. The other good news is that being on this new server group it will give me freedom to install plug-ins that I could not do before. This will enhance our ability to make conversation and commenting run a little bit smoother, in addition to offering some other features I could not offer before. Guest authorship of articles will also benefit from this change. Thank you for your patience during this process, and most of all thank you the readers, the moderators,the contributors, and even my detractors for making WUWT the most viewed climate related website on the planet. I’ll post an update again once the process is complete. Do we know enough about clouds to risk this. Real clouds have an albedo effect; AGW blog clouds have an ‘algorebo’ effect. Best of luck, Anthony. Please don’t end up like order-order.com – which has been pretty much silenced after 20 years. Harry – Guido is still going strong and has posted since your comment. What’s the problem? I’ve looked at servers from both sides now. I really don’t know servers at all. Hmmm…. I have a rather old computer, practically an antique. Still runs well, but I will have to take the old thing off the net some day and I know it. I have never, ever had any trouble finding WUWT, maybe because I type in the entire name of the site instead of just WUWT. Specificity counts in something like this. I am, after all, still operating on Windows XP and have stubbornly refused to change that because it works fine. But on the other hand, my 2003 machine limited in space on its hard drive, and I will have to get a newer machine with more room and a faster response just to keep up. I have a blog, but I can’t see anything on it it through WordPress’s changes to their format. I have to go in through a back door to access it. Otherwise, i would not bother with even thinking about a new machine. I can’t keep up with this stuff any more… and I can remember when surfing the net was such a big deal that you could be up all night on Friday, finding stuff… and now, it’s the biggest waste of time ever unless you are very specific about what you want to find. I have an old computer. I don’t know how old, but it is beige. Is that old? I too have never had a problem finding WUWT, search engine bias or not. The easiest way to find it is to subscribe to Anthony’s email alerts then every day your inbox is chock full of direct links to numerous articles. As for running XP, whilst I applaud your pragmatism, there are risks, as I understand support for it has been withdrawn by Microsoft which might expose you to viruses, although if you don’t download anything, the risk is low I guess. It doesn’t have 3G or 4G connectivity but can be easily tethered to your smartphone by bluetooth and serve as a bigscreen Sat Nav unit in your car. It can access innumerable music sources and either wirelessly or via bluetooth, transmit your music of choice to numerous music systems. I can stream movies from Netflix and Amazon for a ludicrously low price and with the addition of a £20 memory card, entertain the kids with movies on an 8 hour drive. I have no idea why anyone continues to be restricted to a box in a corner any longer when technology is now this cheap.I have a redundant, modern box in my office, complete with screen and cabling and a similarly redundant 17″ screen laptop. Best of all, it’s Windows (full blown) so familiar to most of us. My next PC purchase, when I can afford it, will be a Microsoft Surface Pro. A £1,000 extravagance perhaps considering the Linx is so capable, but my first laptop cost me £1,000 25 years ago; no bluetooth, no wireless, no touchscreen; with Win 95, and a battery that died after an hour, so I figure the deal is much better now. I was watching Star Trek 45 years ago, dreaming of the possibilities. Now, I’m living the dream, only still stuck on planet Earth. But that’s OK, I have the gadgets. ‘Tool Time’ lives on! A grand for a Surface Pro? OMG! Don’t do it, I hate the things, rubbish IMO. We can parameterize the clouds and everything will work fine. Trust me! In other words, every cloud has a silver lining. Yes, I’ll go with that, even the climate change cloud hanging over us like the sword of Damocles. … WUWT the most viewed climate related website on the planet. Given Google’s global warming search bias that is an amazing accomplishment. Congratulations sir. Except, virtually every search for things climate, especially topic with religious consensus beliefs, links to undependable consensus sites and climate politics sites overwhelm the response links. An odd occurrence, given their very low internet views and stats. Liberal elitist billionaires, apparently, can buy fake popularity for their propaganda sites. The search for truth has never been easy. If it was, it wouldn’t be worth it. Humanity loves a challenge and despises a concencus (well, eventually). Let them keep WUWT under their radar. Nothing like a sneak attack for effect. ATheok, your last sentence needs a tweak. Fake-liberal elitist billionaires, apparently, can buy fake popularity for their propaganda sites. I’m sorry but what does search engine bias have to do with WUWT? You can bookmark it with any of the popular browsers. What am I missing here? But my kids are worried. They tell me I spend far to much time conversing with strangers I don’t know, viewing content I don’t understand, and being corrupted by old men in dirty raincoats. They, on the other hand, play war games, and that’s OK. Some idle pastimes are more useful than others. Good luck in the conversion! “Migration to a new Cloud….” – It sounds so diaphanous and airy! Looking forward to the new capabilities and Thanks (!) for doing what you do soooo well, Anthony! Is the ‘Migration to a New Cloud’ done with a Green Card or is it ‘illegal’? Actually sounds like something done by and for Angels in the Heavenly sense. Lets all find a new cloud – perhaps with the help of Willis E if he can find one where it isn’t about to rain. There’s a search box just for that in the right sidebar. It does not search in comments. C’mon George, what do you want, search by keystroke? With all due respect to Anthony, occasionally there is a comment almost as good as an article. Pardon, not a comment, a thought. Anthony is an optimist. Try this syntax. It gets you into the comments. Start with your favourite search engine e.g. Thanks for the update Anthony, and good luck for a smooth transition. WUWT helps maintain our sanity in this corner of Africa where infectious Carbonophobia, spreading rapidly and profitably among the ruling class, is resulting in the proliferation of ghastly industrial wind parks that are blighting some of our most beautiful and scenic landscapes, as well as killing a wide variety of birds, including endangered and migratory species. We are heading down the same path as South Australia, and nobody, except a few perceptive commentators, seem to be concerned in any way. The wind industry, government ministers, and media morons clap their hands and ululate with joy at the billions of dollars of investment flowing into intermittent wind generation plants. They either do not know, or chose not to share the ugly secret that probably 65% of this investment goes straight to Germany, or Denmark, or somewhere else, to pay for the machinery and the towers. The Germans and the Danes have also been very, very helpful to South Africa in funding research and propaganda to promote the wonders of wind energy. They are laughing all the way to the bank. New Cloud…Hop aboard your Golden Nimbus and Fly away. A few interruptions can be handled if need be. Hopefully the transformation goes smoothly. Who are the ”nefarious forces’ you refer to? My guess is the Deep State and B Husssein’s shadow government. Sounds well planned. Good that WordPress is so supportive. Gluck auf! More interestingly, they apparently recognise the contentious nature of the debate and still offer their support despite the risk to them. Just read that back. That’s what you said. Sometimes I have to search amongst the loose change for my brain. Something else I don’t understand. What risk does WUWT pose to WordPress, which is a blogging platform, not a newspaper or a TV station? And why shouldn’t they be supportive. Such a widely accessed site as WUWT can do nothing but help WordPress. Good luck with the changeover. Sound great. Best wishes on the change over. This is a great site. Anthony, good luck with the transition, and thank you for making WUWT available to us all! Didn’t Jonie also do the green anthem Big Yellow Taxi? No line about D.D.T. saving millions form malaria, just don’t give us spots on our apples. Damn! I really used to love that song as a kid. Sounds like a good move to me, Anthony. 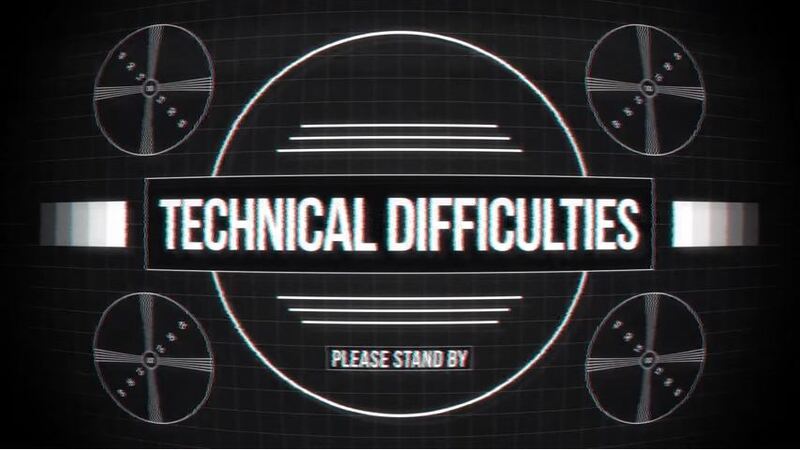 Will be checking back on my usual daily basis. Cloud is fine, but more costly than VPS with Solid State HDs. so,…migrating from linux sercer(s) on amazon aws to your own aws instance. I haven’t noticed any problems reaching this site and I often look at it several times per day. I have seen some of my comments disappear though, and that’s frustrating. WordPress spambot mysteries. The longer the comment, the more likely to be disappeared. How many “Hiroshima bombs” will the cloud consume? Go Go comment preview and editing! Whenever software vendors swore that users wouldn’t notice upgrade(s) installation, that always meant long weekend hours, workarounds and angry superiors. Good … and Thank you ! I’ve used DuckDuck for about 2 years, 99% of the time. As have I. They claim not to track you, so that’s better than Google. I also use a VPN service, PIA https://www.privateinternetaccess.com which keeps no records of your activities. Not that I’m doing anything wrong but I’m damned if I’ll have that confirmed by Google subterfuge! What is a Google? Heard the name once, didn’t like it! DuckDuckGo does not track but I think they use the old Yahoo Search Engine which substitutes all liberal sites before any skeptic site with the exception of WUWT. Have had the same problem with the Security Certificate excuse that just resurfaced today and now I have to re-register every time I make a comment–is that what our future looks like?? Good Luck Anthony. Is there rampant paranoia on this site? Seems that way. Checks. Time to distrust Google Maps and Gmail. On the other hand, it might be a temporary effect of migration. I am not complaining to Google yet. Migrating to a new cloud is easy.. Let the data rain down near a hill with a breeze, the data will evaporate and then the hill will promote condensation.. Viola, new cloud. They don’t necessarily agree with the content they facilitate but they fight for the right of people to express themselves anyway. It’s real free speech. True democracy. They ought to be praised for it. They are what the Internet was meant to be about. firefox is currently (3:48p eastern) reporting “The owner of http://www.wattsupwiththat.com has configured their website improperly. To protect your information from being stolen, Firefox has not connected to this website. Try Opera browser. Even comes with it’s own VPN (very limited, but better than nothing). If you can handle the site issues, the readers can also. I’m sort of busy for the next few days and likely won’t notice. THANKS ! for all you do. Anthony, I wanted to take this time to pause a minute to acknowledge you and the entire team at WUWT. The site has been a beacon of scientific freedom and a wonderful public arena for scientific discussion. I know that this has all required a very large amount of time and work from you and the moderators. You all have my profound thanks for keeping the site up, running and free of spam and the like. Next, I want to thank you for the support and latitude that you have given to me as a guest author. I know that at times you have had your inbox catch fire from people outraged by what I’ve written … however, you’ve either ignored or put out the flames and stood firm behind my Constitutional right to make a total fool of myself. Next, I want to say that having such a marvelous place for my writings to be published has saved me untold grief from wandering down blind alleys. I write up my research as I do it. And more than once (and to be honest, more than twice) I have had someone point out a boneheaded error or a subtle misunderstanding or a bozo arithmetic mistake. I’m constantly surprised by the amount of knowledge about just about any facet of science that WUWT commenters have. I’ll post about some totally recondite subject, and likely as not someone will say something like “I worked in that field for forty years, and while most of your post is correct, there’s one part that isn’t …”. Finally, after following the climate debate for nearly twenty years now, I can say without hesitation that a) we skeptics are slowly winning, and b) a good chunk of the credit for that goes to Watts Up With That, the premier climate science site on the web. Anthony roolz! That’s the reason I come here. I learn something new every day. I’ve noticed this site is periodically identified as ‘dangerous’ by our server at work. Never doubted it was the usual suspects, trying to kill any counter-messaging. 1. Type cmd in the search right click and “run as an administrator”. 2. Type “ipconfig /flushdns” (without the quotes). Google just blocked me by saying the connection is not safe. It has just allowed it. I understand support for it has been withdrawn by Microsoft which might expose you to viruses, although if you don’t download anything, the risk is low I guess. Not true. You don’t have to actively download anything to get compromised. When you go to a web page you are downloading and usually running scripts. If you happen upon a compromised web site you’re an easy target. In addition, the newest version of Adobe Flash is not available for windows XP. Flash has been plagued with security issues since day one. If you are running Flash on XP there are known security holes that could be exploited. I said the risk was low, not no existent. I didn’t feel the need to freak someone out just because they open a browser on an XP machine. I hope most of the sites visited, in this case, would be respectable, like WUWT therefore compromises minimal. The fact is, some can’t afford to buy new hardware or just don’t want to spend the money to visit a couple of sites and read emails. Entirely sensible, especially if one isn’t committing personal details for public inspection. The best security measure is not to hand over personal information in the first place, or store it on a PC, of any configuration. My thanks also. I’ve read many great articles here but I’ve also read some insightful and knowledgeable comments. There have been many times I’ve said to myself ‘I never thought of that’ or ‘that’s interesting, I didn’t know that’. It would make a huge difference if we could post pictures and graphs that are hosted permanently at WUWT. The picture hosts that I have been using seem to delete pictures after a month or so, or replace my pictures with some other irrelevant picture from somebody else. Thanks for the great WUWT site! The fix to that problem is to get yourself a free dropbox account, save the picture there, and then link it from there, where YOU put it and know it will always be. That’s how I do it. Best of luck. Computers and technology and change can be very daunting. Mr Watts if you go to Discuss for your comments section it will hit 5,000 per article. It might be too much to handle. Thank you for the logic you have brought to the debate. Observing the dicussion is what I would imagine being a fly on the wall in Independence Hall witnessed when all those Founding Fathers were debating the US Constitution..
Great to see WUWT running again. Good job. I had difficulty today here in Aus accessing WUWT, but I put it down to my mobile network provider. Good luck with the migration. Make full local backups – very important. So far, so good. A couple minor hiccups that have passed, but mostly the site seems much faster. We’ll see if that holds tomorrow. Best of luck with the migration, Anthony. It wouldn’t surprise me to hear that some Warmists might blame your migration to the ‘cloud’ as being due to finding it too hot on the surface! 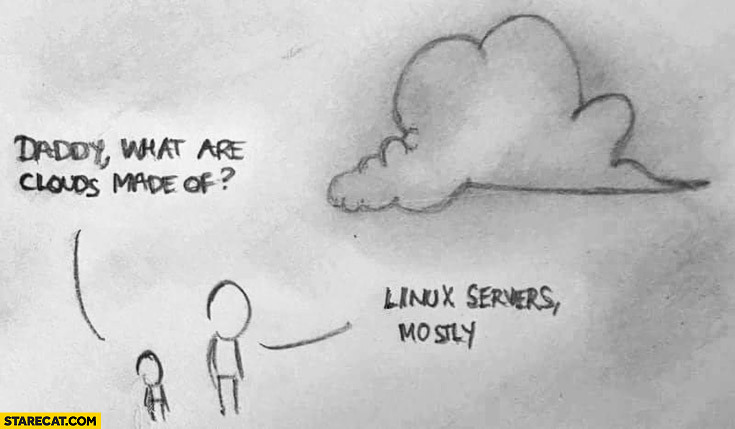 A cloud is not a cloud when it’s someone else’s computer. Just as long as you don’t end up as an illegal migrant. This sounds like it will give you more features that you’ve wanted for a while. Hats off to wordpress for the help and support. I’m not seeing, despite refreshing, Dr. Roy Spencer’s “spat between Gavin and Willis” that I see on my phone. The site must be migrating today?